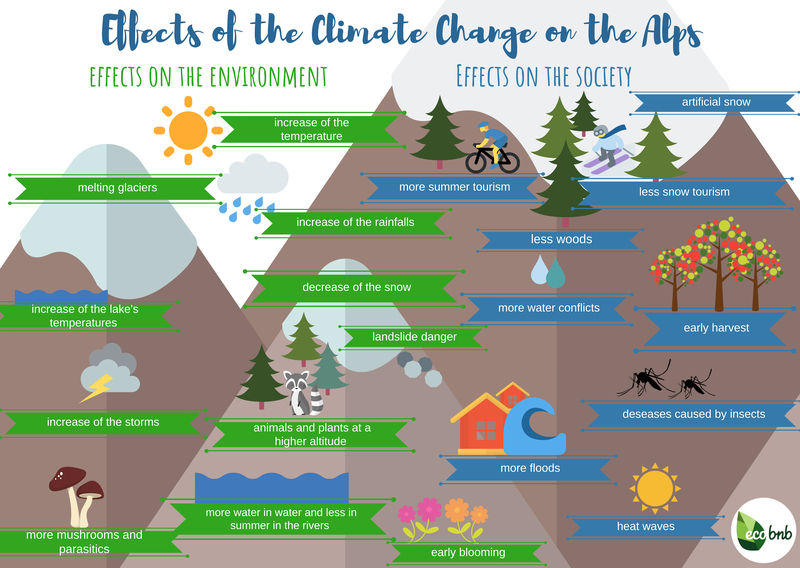 The increase of the temperatures and rainfalls and the melting of glaciers are changing the atmospheric conditions, the flora and the fauna of the Alps. But not only. According to the scientists, the winter tourism will also change. For the lovers of the winter holidays, of the ski, snowboard and snow, here’s a bad news! According to the “Climate Report” of the Eurac Research Center of Bozen, the mountains are and will be always more damaged by the climate change. In particular, the Alps. Here, in fact, the average warming measured in the last hundred years is double respect to the European average of approximately + 2 degree. The effect could be dramatic for winter tourism. Let’s see why. The temperature is continuously increasing, due to the excessive emissions of greenhouse gas producing destroying consequences for the alpine environment. Until 2050, the scientists forecast a variable increase between +1,2 and +2,7 degrees centigrade, with negative impacts also on the winter tourism. 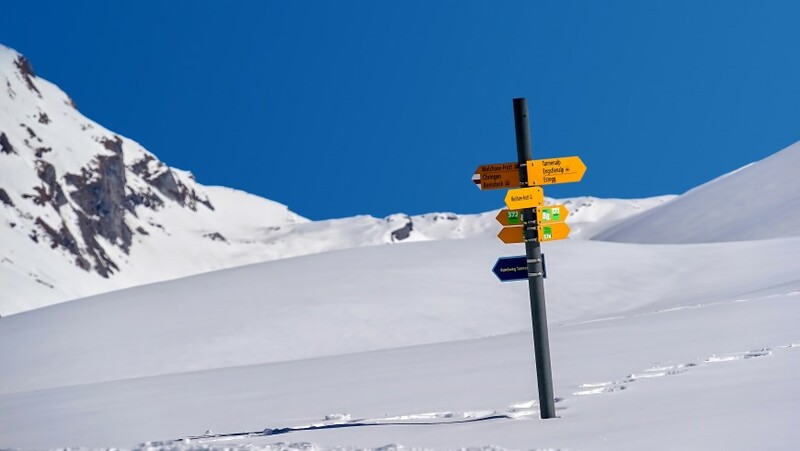 If for the alpine summer tourism, the climate change can represent a competitive advantage to escape from the heat of the cities – according to the scientists- it is not the same thing for the winter tourism. The increase of the temperatures and of the rainfalls will cause a reduction of the snowfall of the mountains with direct consequences for the mountain landscape, environment and the tourism. The snow covered areas will decrease from the 84% to the 62,5% respect the actual superficies. Obviously, the low-altitude ski areas will be the more disadvantaged. Several studies demonstrates that starting from 2030 the snowfall above 1300 meters will not exist anymore. To resolve this problem, the ski resort are using the artificial snow since several years. The problem is that the artificial snow has a greater specific weight and for this reason it has a negative impact on the soil. 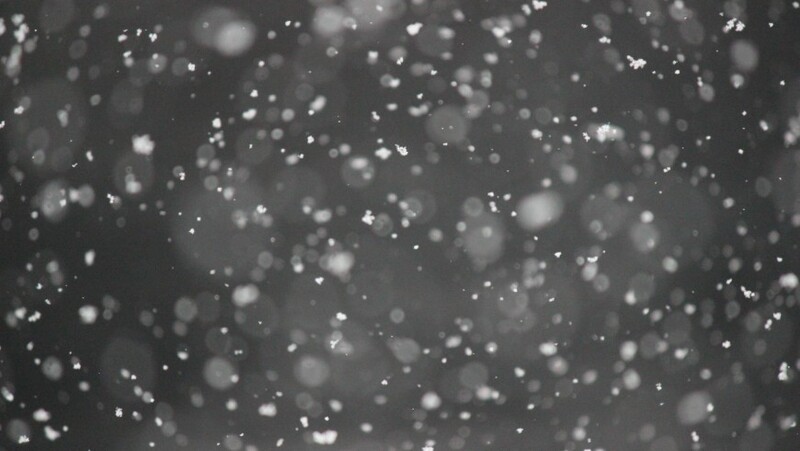 In fact, according to a WWF study, the artificial snow reduces the permeability of the soil, causing a freezing and obstructing the absorption of the rain causing consequently floods. Without forgetting the high economical costs of the modern snow. 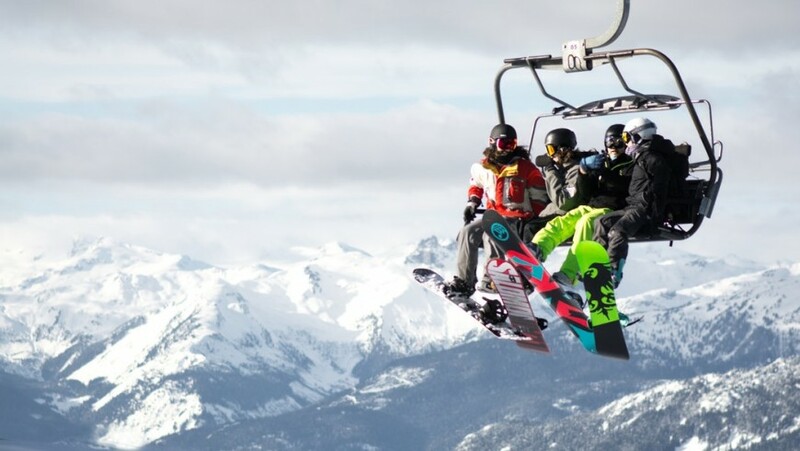 a considerable increase of the costs for the tourists to practice the winter sports. To avoid the economical decline of the winter tourism and of several destinations into the Alps, it is fundamental to turn toward new tourist perspectives– according to the Alto Adige report. The ski tourist destinations should change strategy, in order to do not be unprepared for the next years. 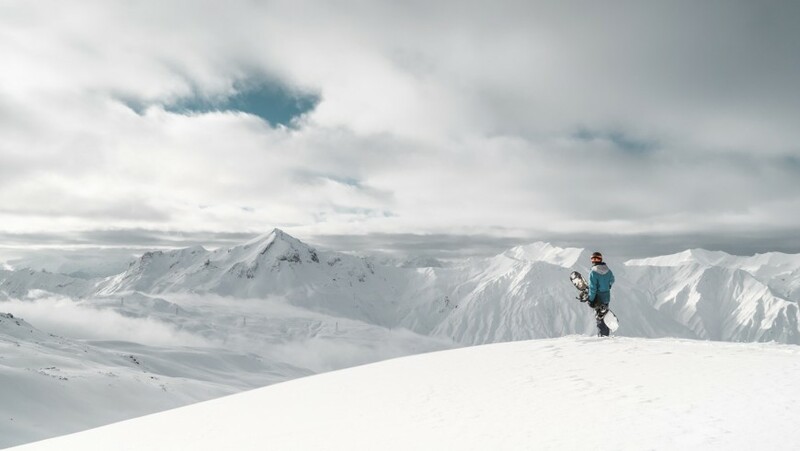 The suggestion is to begin to develop new green tourist products that can mitigate the climate change, by reducing the CO2 emissions and the negative impact of the tourism on the environment and on the other side to offer an alternative for the ski. Focus more on wellness and nature contact experiences or on the enogastronomy of the different localities…every sustainable and authentic proposition. Always without forgetting the aim of the reduction of the greenhouse emissions, that is fundamental in particular for the alpine areas, more fragile and damaged by the climate change. What can be done? There are several solutions: discouraging the polluting traffic, promoting the electric mobility and the use of the public transport, improve the efficiency of the tourist structure. There are just some example of good habits that the Alpine Pearl are taking into account since years. It is not to late to stop the climate change and find sustainable alternatives for the ski tourism. This entry was posted in news and tagged Alps, mountain, skiing, winter holiday. Bookmark the permalink.